In our survey of Scripture thus far, we have covered three great eras or periods: the primeval period (Genesis 1-11), the patriarchal period (Genesis 12-50), and the exodus period (Exodus through Deuteronomy). As we embark on a study of Joshua we enter the historical section of the Old Testament, the first part of which we shall call the period of the rise of the Hebrew nation. 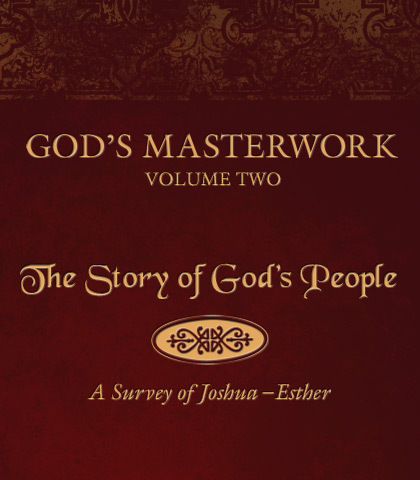 This era is covered in five books—Joshua through 2 Samuel. In the book of Joshua the Hebrews invade, conquer, distribute, and settle down in the land of Canaan. The events recorded in Joshua took place over approximately 25 years. All the way through, one person stands out as God’s appointed leader and model—the man from whom the book gets its name.